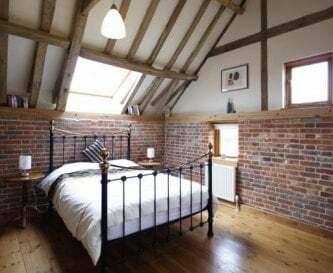 Church Farm Barn, Banham, Norfolk, sleeps 10-12 in 6 bedrooms. 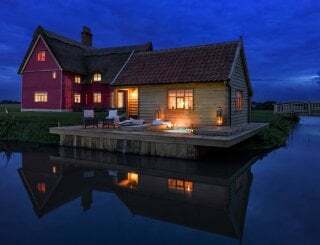 This beautifully converted Norfolk Barn specialises in family groups, including multi-generational family celebrations, family holidays and groups of families with children. 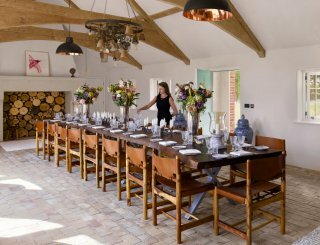 The Barn is particularly spacious and inviting, with loads of room for relaxing and enjoying yourselves whatever the weather. At the heart of the property is a wonderful open-plan living/dining/kitchen area, from where doors open onto the private garden with patio, barbecue, toddler play area and hot tub. There is also a very comfortable lounge with 65" Smart HD TV and an upstairs games area with football table. 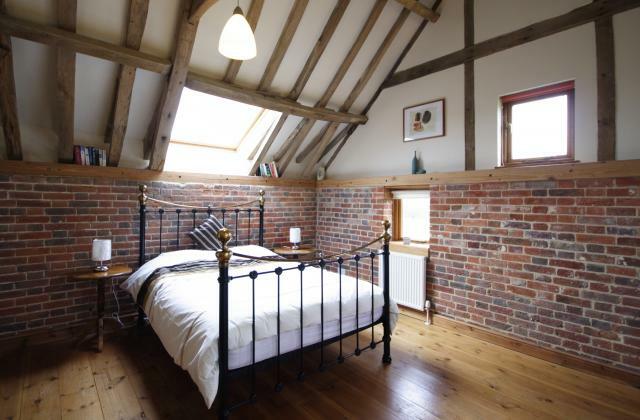 The Barn has a wealth of character features throughout, with exposed brickwork, wood and vaulted roof spaces. 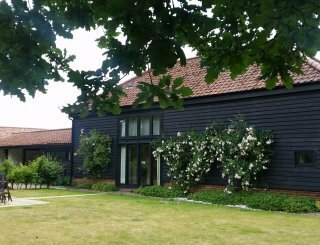 The Barn is in a lovely rural spot, with panoramic views of open countryside. 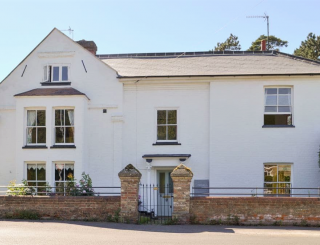 There is lots to do in the area, with picturesque villages and historic market towns to explore, as well as local attractions such as a zoo, gardens and museums. 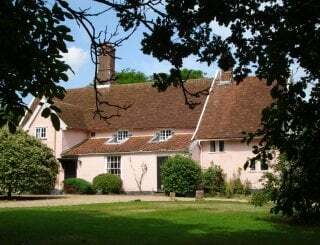 Norwich and Thetford Forest are close by, with the Broads, the Norfolk and Suffolk coast, Southwold, Ely and Cambridge all within easy reach. 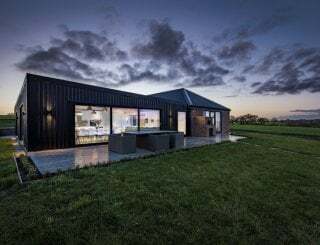 The Barn was lovingly converted by the current owners who live adjoining the Barn and are on-hand if needed. It is a beautiful venue for special celebrations, family get-togethers, reunions, and gatherings. 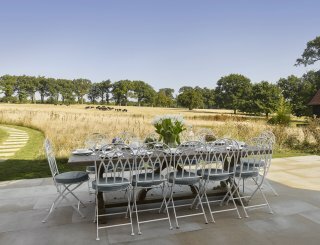 Outside caterers can be arranged to provide a celebratory meal or there are a variety of good quality restaurants to choose from nearby. 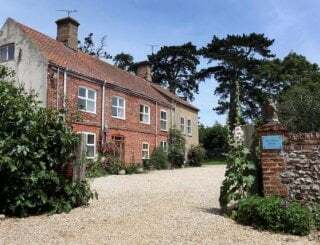 We welcome pets and children and offer weekend and mid-week breaks as well as longer stays. We are open all year round. If you have any questions please do contact us, we will be most happy to help. 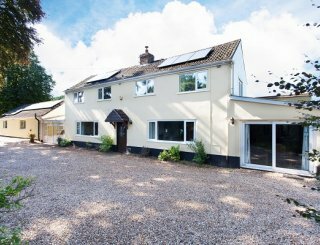 Beautiful and well-equipped country kitchen with electric range cooker. Stylish dining area with oak tables and high-back chairs. Three sitting areas: Open-plan sitting area with sofa and chairs; main lounge with five sofas and 65" Smart HD TV, games, toys; upstairs games area. 65" Smart HD TV, DVD player, music system with iPod dock, radio and CD player. Upstairs games area with football table, games, sofa, bean bags and lots of books. One king-size bedroom, three double bedrooms and two twin bedrooms. Three are en suite. All bed linen provided. Towels also provided. Three en suite shower rooms (king size and two double rooms), main bathroom with bath and shower over and downstairs WC. We welcome disabled guests. There are two downstairs bedrooms (one double and one twin) and a downstairs WC. Steps into and within the property. Children are most welcome and have plenty of space to play! There are toys, a craft box, games, football table and an outdoor toddler play area. 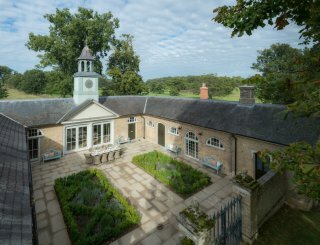 Private garden with patio, tables and chairs, barbecue, toddler play area, garden games and hot tub. We don't have a pool but we do have a six-person hot tub. Ample parking on the large private drive. Up to four well-behaved dogs very welcome (we are dog-lovers!). The historic market town of Diss is 6 miles away, with several villages within a couple of miles. Weekends (two or three nights) from £825. Full week in school holidays only from £1495 - £2450 (more at Xmas and New Year). £25 charge for each pet/dog. Changeovers always Friday. Damage deposit £175. Please contact us for an individual quote - we specialise exclusively in family groups. Diss or Attleborough (both about 6 miles). Norwich, 18 miles, or Stansted.